Roto Venetian Blinds - 16% Special Offer in February! Genuine Roto ZJA Venetian Blinds - 16% OFF Special Offer this February! Manufactured by the Roto Factory in Germany to fit their Roto Roof Windows, we sell genuine Roto Venetian Blinds, and also their Standard Roller Blinds, Exclusive Roller Blinds, Blackout Blinds & Pleated Blinds. Give us the full Roto Code (marked on every Roto window) to ensure that the venetian blind fits your roof window perfectly. 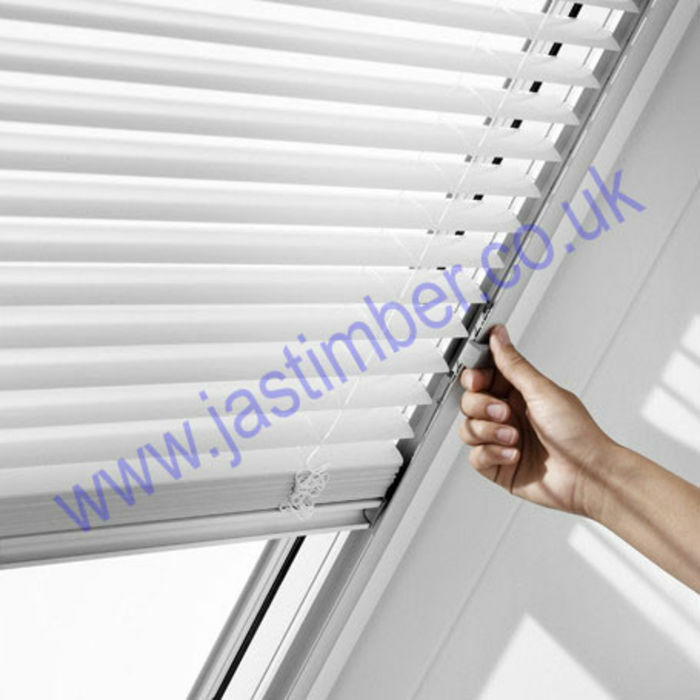 For more details see - ZJA Roto Venetian Blinds - and to buy online. Please make sure you are subscribed to our newsletter to catch even more special offers along with product updates and project ideas from JAS Timber, and don't forget - tell us what you think about Roto Venetian Roof Window Blinds - please leave a Product Review!